They narrowly escaped the end of world, but the real problems for the three thousand souls aboard cruise ship Spirit of Arcadia have only just begun. Now their priority is to find enough food to sustain the whole community; possibly the last humans alive. 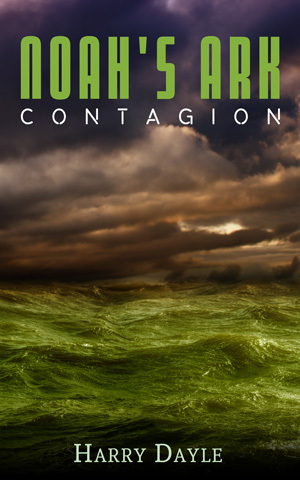 Captain Jake Noah has a plan, but there’s barely time to put it into action before a new menace threatens the lives of everyone: a deadly virus. As the mutated contagion sweeps the ship, the race is on to create a cure before all succumb to a painful — and messy — demise. Book two in the thrilling Noah’s Ark series. Copyright © 2018 Shelfless Ltd.